MedAdvisor 2.1 was released on 5th ofMarch 2014. 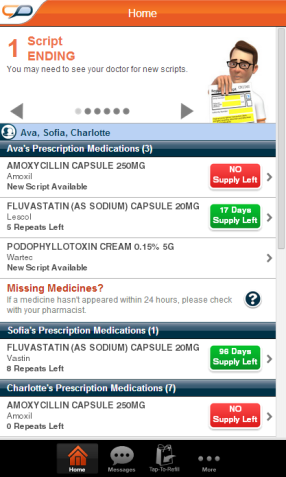 Creating Tap-To-Refill orders to your Favourite Pharmacy for any of your connected users. 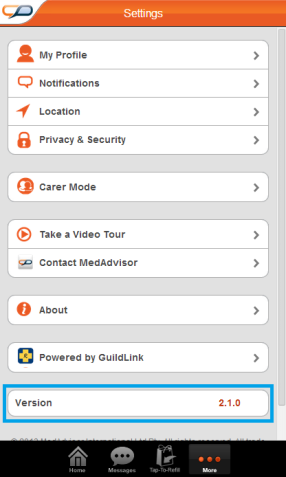 To utilise Carer Mode, you need to be running version 2.1 of MedAdvisor or later. 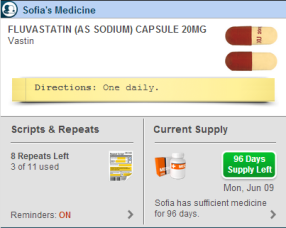 You can check what version of MedAdvisor you're running by clicking on the "Settings" tab, and looking at the "Version" section. If you are running an earlier version of MedAdvisor, you can update your version by searching for "MedAdvisor" in the App Store (for Apple Devices) or Google Play (for Android Devices). If you use the MedAdvisor website, Carer Mode will immediately be available for you. 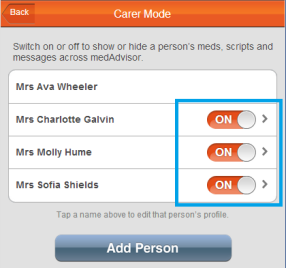 To attach your family members, or the people you care for to your account, you should request an activation code from your favourite pharmacy (for your family member), and then tap or click on "Settings", and then "Carer Mode". 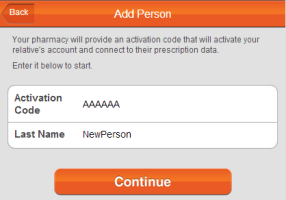 Enter their activation code and last name into the text fields. Provided that you enter the information correctly, MedAdvisor will ask you to confirm their title, first name and last name. That's it! 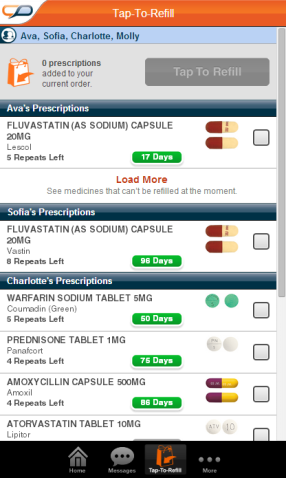 Your family member or person you care for will now be displayed on your home screen, and shortly, their scripts will be imported into MedAdvisor. 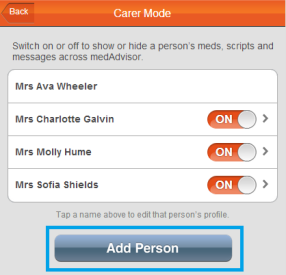 You can switch which of your family members or people you are displaying within MedAdvisor on or off at anytime, by clicking or tapping on "Carer Mode" from the "Settings" tab, and then clicking or tapping on the on/off button. You can add as many family members as you want by using the "Add Person" button. Please note that every family member you add to your profile must have a unique first name, so they can be easily identified within the application. If several of your family members have the same name, consider entering their relationship with you, at the end of their first name (e.g. Jimmy - Son). If you wish to permanently remove a family member from your account, choose the "Delete" option. However, please note that this is permanent, and if they wish to use MedAdvisor again, they will need a new account and activation code. We hope that you find Carer Mode useful. If you require assistance, please feel free to contact support@medadvisor.com.au.